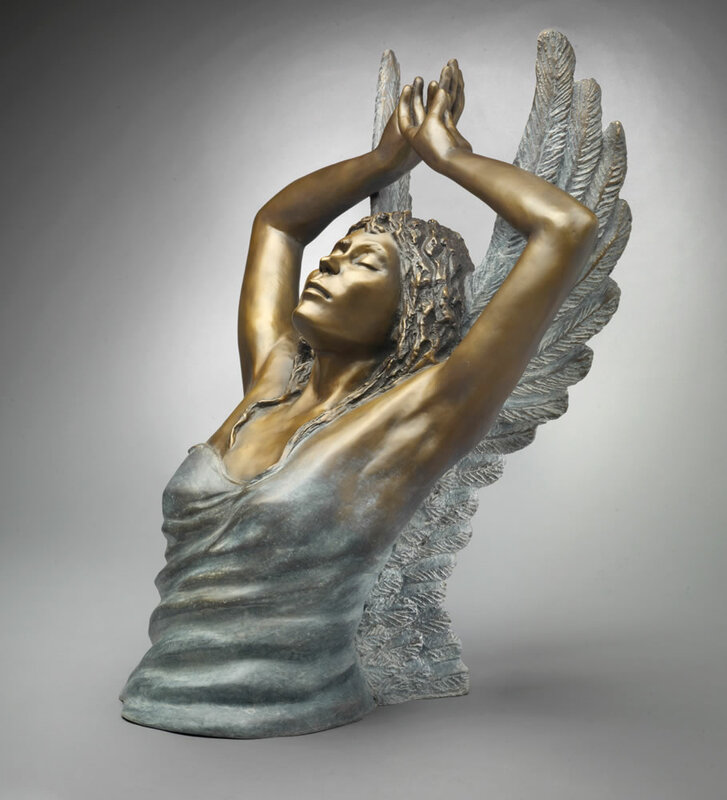 Angels guide, protect and inspire us. They are God’s messengers. 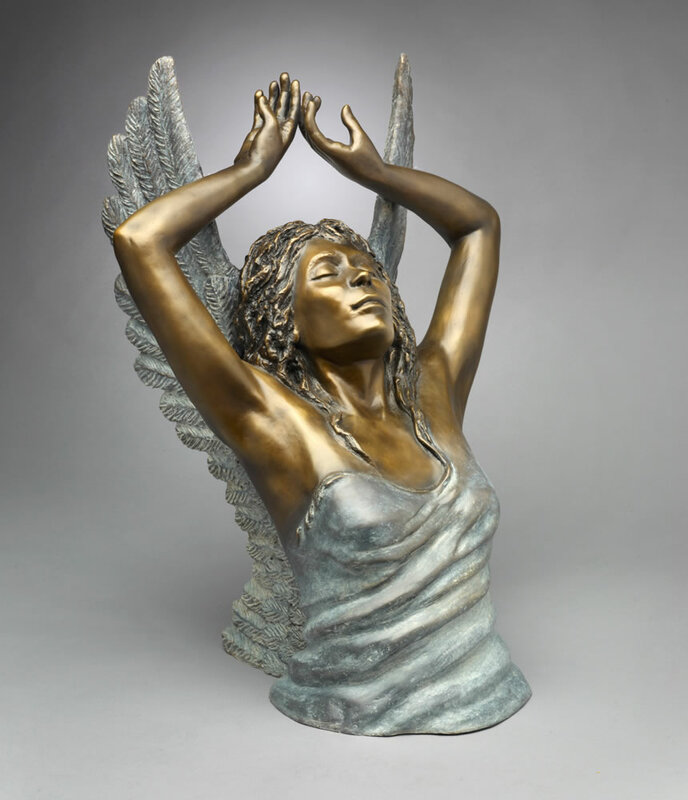 This angel sculpture with her hands reaching up overhead, represents embracing the infinite love and compassion ever present in the universe. Uplift your spirit... Surrender into the love of the Divine.